NEVER RUN OUT OF JUICE - ECEEN's solar bag comes with a 10W waterproof solar powered panel. It's strong enough to power your electronics on the go. Give your smartphone a full charge in only 2 - 4 hours. Never leave the city without it! STYLISH & DURABLE - Perfect as a daypacks during the day, weekend trips. 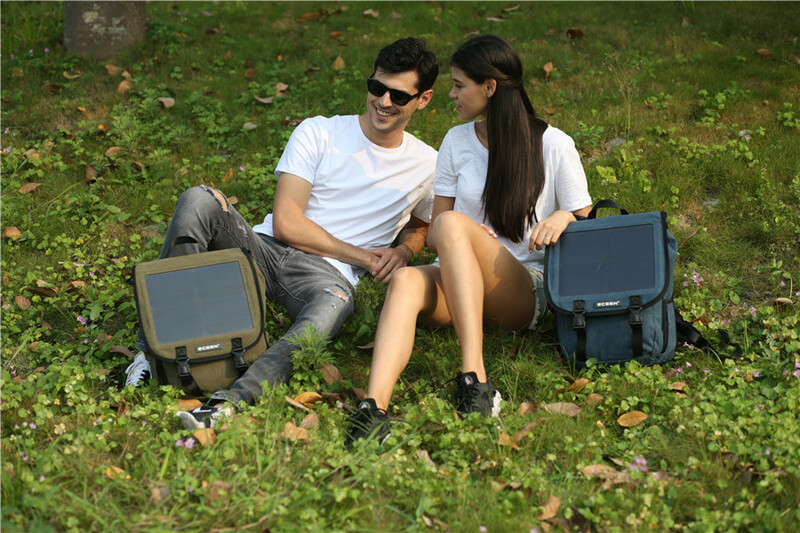 Solar Power Bag is a cool, stylish and durable backpack, and adjustable straps make them comfortable to wear for long periods of time. 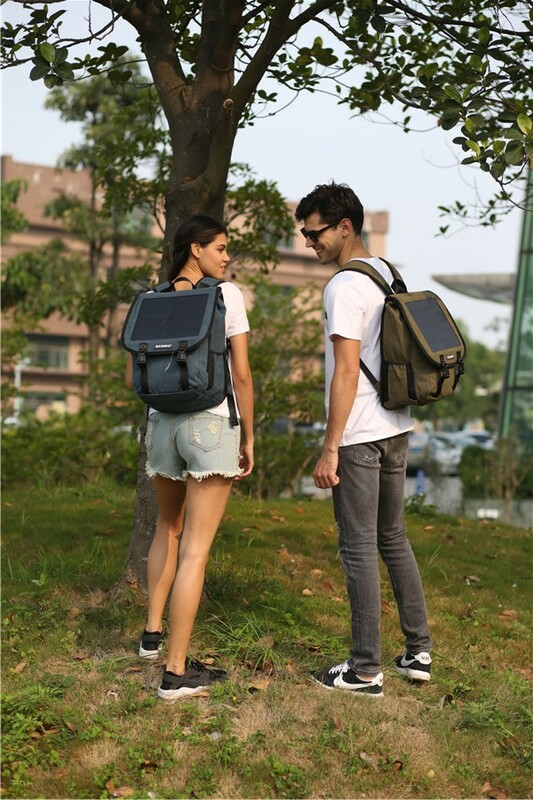 The Solar Power Bag is a stylish backpack with all of the functionality and looks of a well-equipped backpack with the addition of a solar charging module. The front flap features a light-weight, flexible, integrated solar charging your cell phone, iPad or tablet if you don't have a power outlet. Charges your smart phone, tablets using the 22% high efficiency SUNPOWER solar cell. 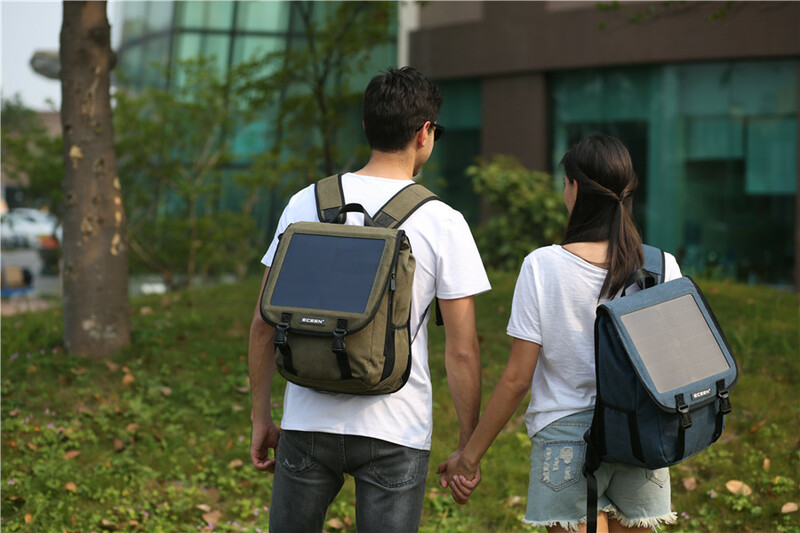 Solar Power Bag is a cool, stylish and durable backpack with a detachable solar panel on it that will charge your devices from the SUN! 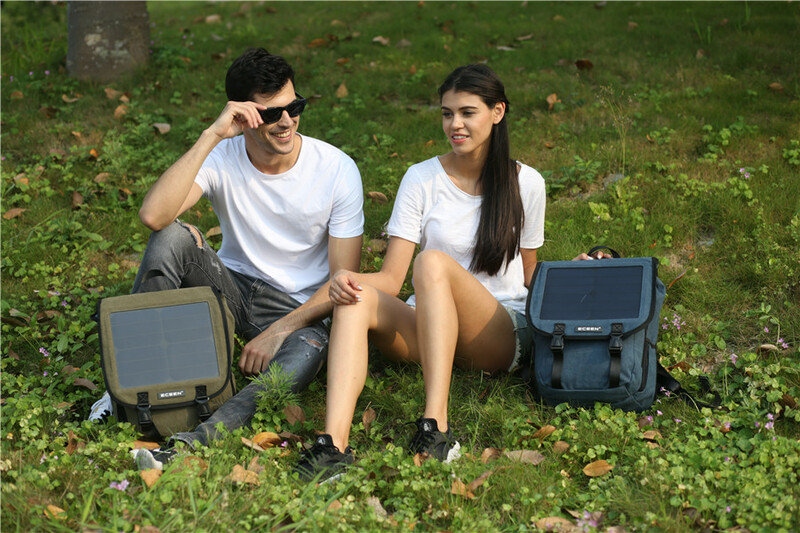 Solar Power Bag has a powerful new technology solar panel that charges a dead cell phone very quickly as well as tablets, and many mobile electronic chargeable devices. Solar Power Bag keeps you from being in a situation when you are powerless. Take Your Power with Smart phones, Tablets, MP3 Players, GPS Units and more while Camping, Hiking and more Outdoor Activities! What are you waiting for? Get yours today and take your hiking experience to the next level! Next news:Happy Easter Day!Enjoy your holiday with sunshine in this Spring.